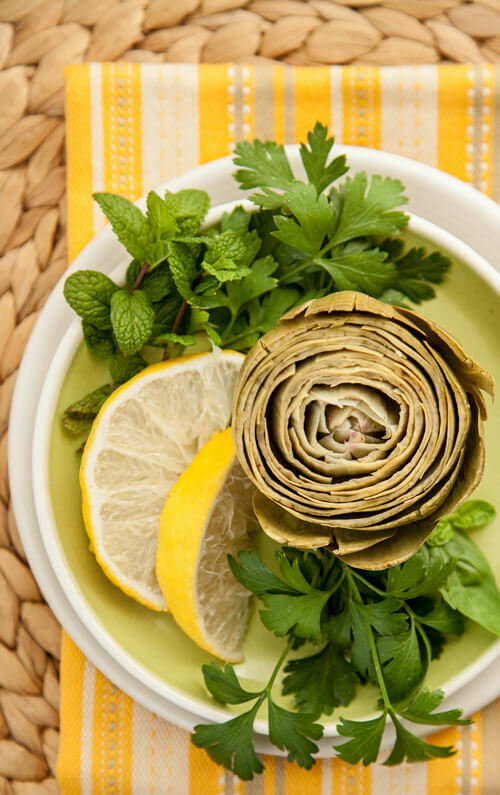 Artichokes are low in calories and fat and are a rich source of dietary fiber and antioxidants. 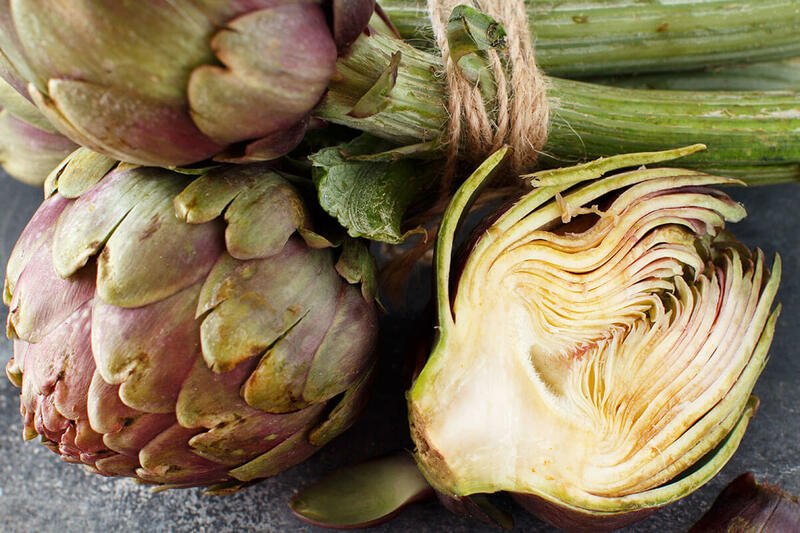 One medium artichoke has 60 calories, 7 grams of fiber, and 4 grams of plant protein. 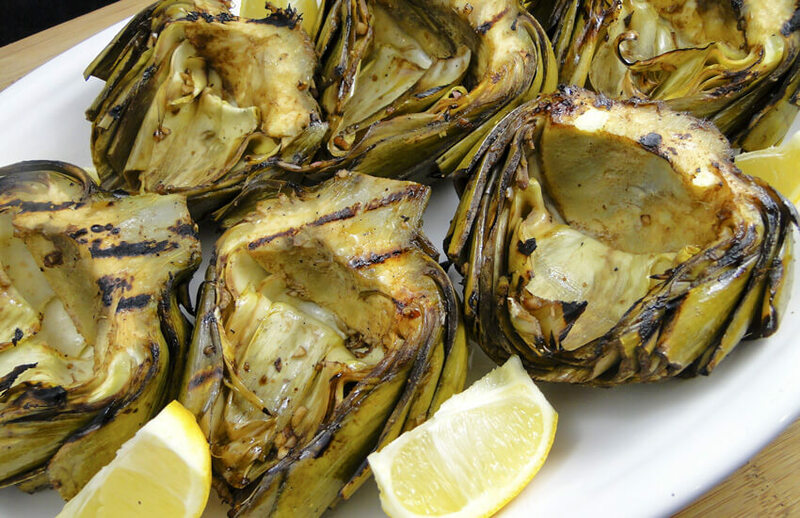 Fresh artichokes are a good source of vitamin C, vitamin K, and folic acid. 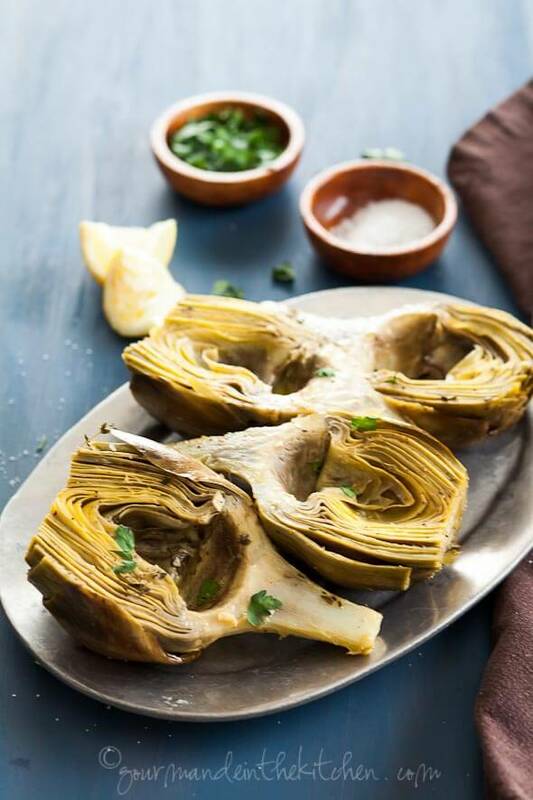 While artichoke heart in the can or jar are available year-round, spring is the optimal season to enjoy fresh artichokes. 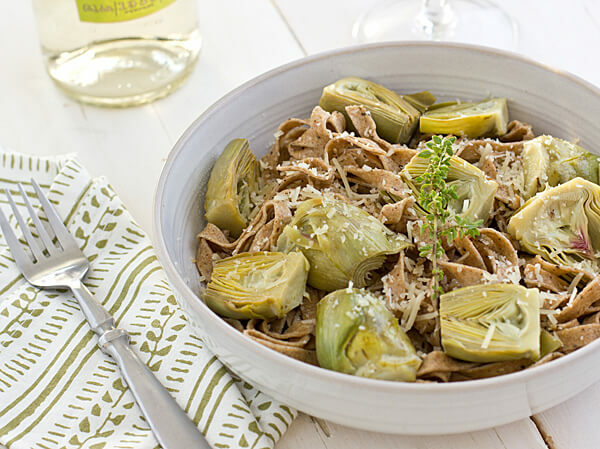 From braising to sautéing to stuffing, here are 12 of my favorite recipes using fresh artichokes in a variety of applications. Enjoy them from the outer leaves to the sweet inner heart that rewards your persistence. 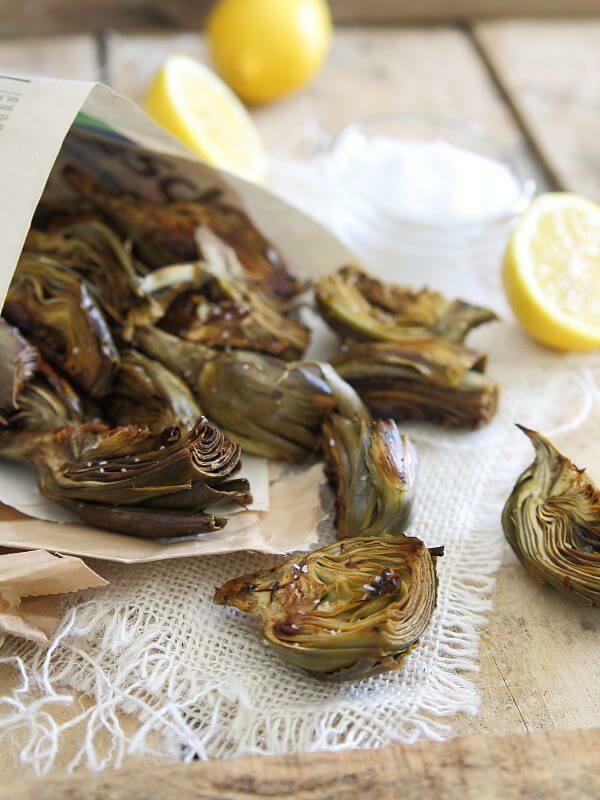 Break out the lemon juice, garlic and olive oil – it’s artichoke season at last! 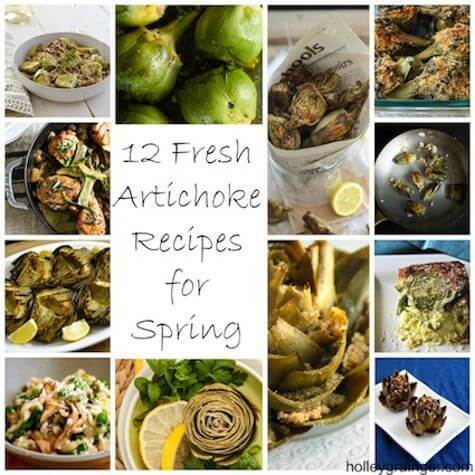 Do you have a favorite fresh artichoke recipe for the spring? Share it in the comments below! Thanks for checking it out! Great options around the web! 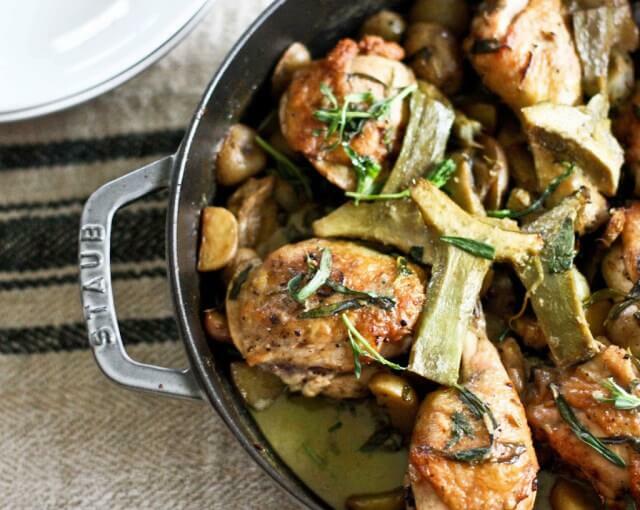 I love artichokes and will be trying a lot of these recipes. I’ll pin them to Sides and Salads. I’ll have to check out your Pinterest board! Yum! 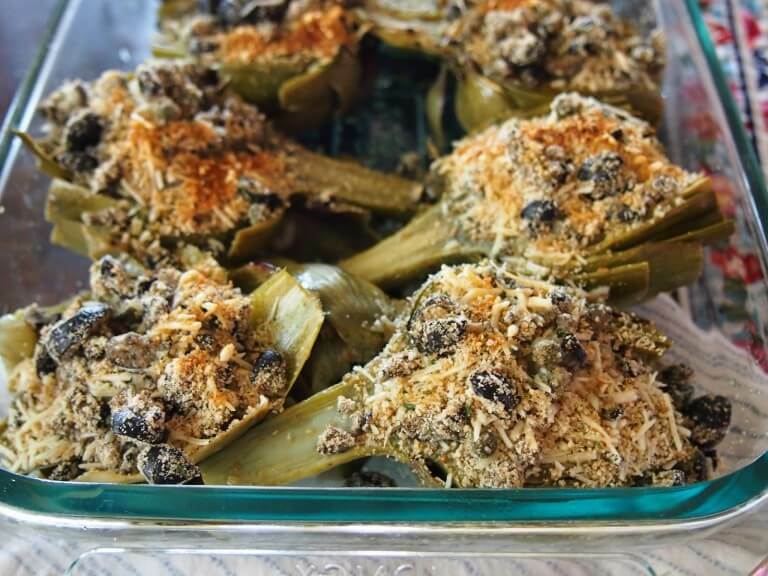 I have a friend who is also Italian and her mom’s stuffed artichokes are out of this world! Craving now! 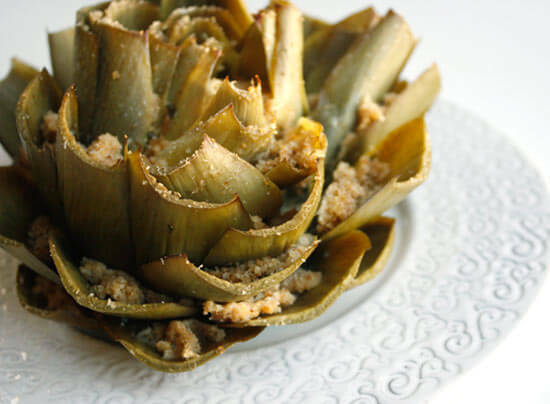 I love artichokes and you have gathered some fantastic recipes here. Thank you! Please share if you have other favorite recipes! 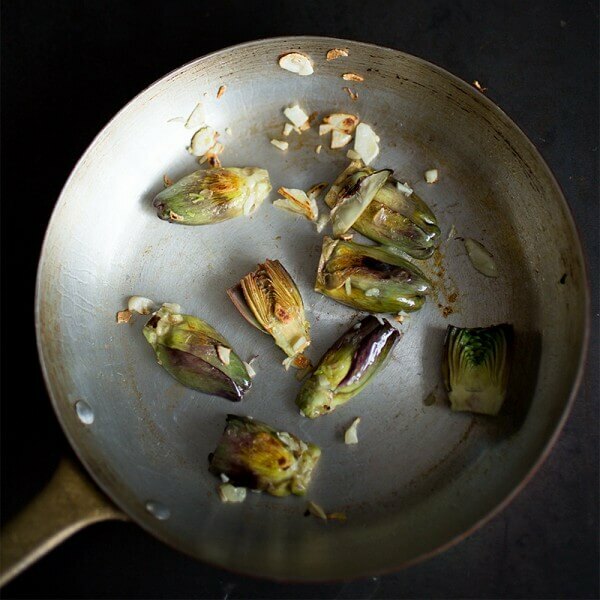 I usually just steam my artichokes, but thanks for all of the great ideas! I need to include a steamed one–such an easy way to prepare! I thought I was excited about Spring before I saw this collection. Now I truly can’t wait! Love the warmer weather and the great produce! Me too, Kristen! I’m counting down the days until the weather is warm again! I have yet to master how to cook w fresh artichokes. Must give it a whirl again. 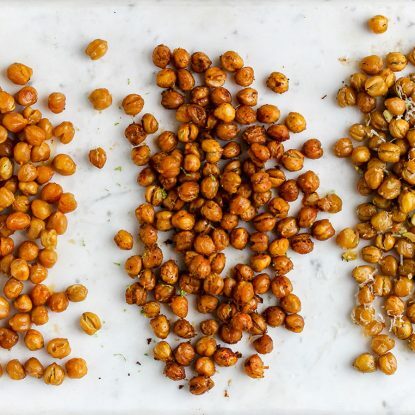 Check out some of the how-to’s included with these recipes. Great for first timers! 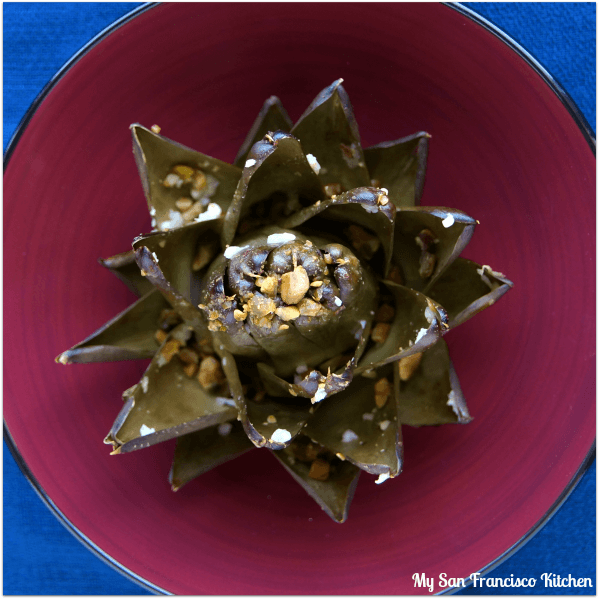 I love artichokes but fresh ones intimidate me (I usually buy Trader Joes marinated ones and top on salads!) 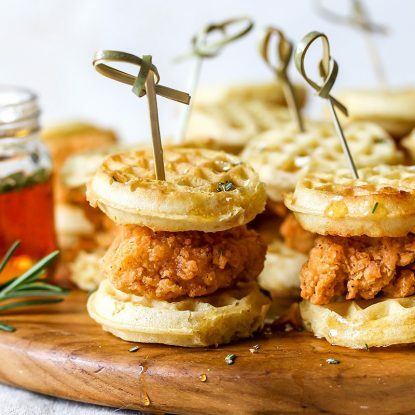 Definitely checking some of these recipes out- thanks for the inspiration! 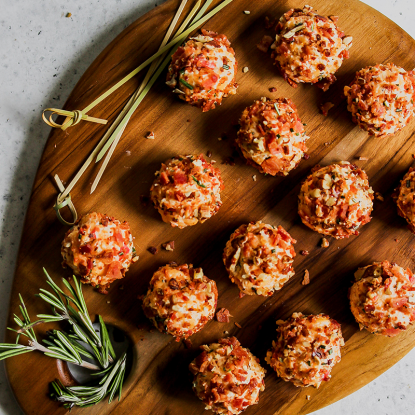 So many of these recipes have great step-by-step photos so be sure to give them a try! In the meantime, I need to check out the marinated ones from Trader Joes! 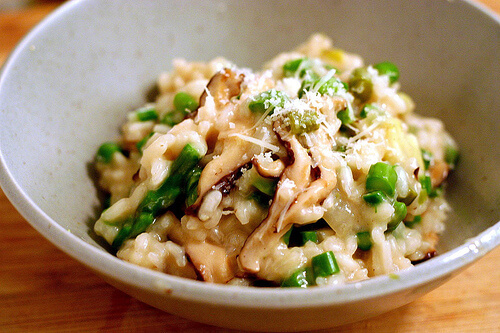 So many great recipes included in this roundup! What a wonderful selection of artichoke dishes! I love artichokes! Thanks so much for including my egg bake in your lovely roundup!! For sure! 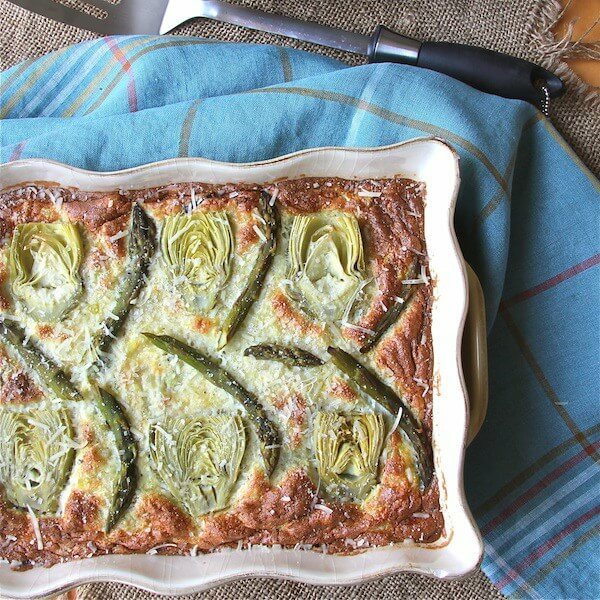 I will definitely be trying the egg bake this spring-looks delish!